This is gorgeous, Misty. Making a dandelion look good is a talent not to be trifled with! Seriously, the sparkle drops are wonderful. Knockout image. I love the dew drops glimmering in the light and I must admit I have never seen a dandelion head look so wonderful. 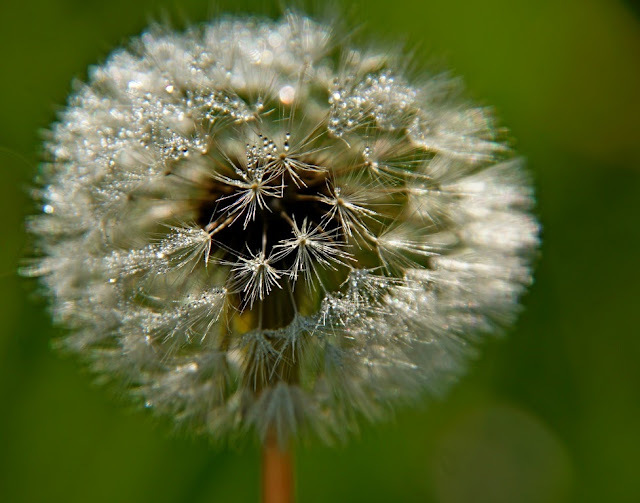 Misty ... this is just magical ... the gorgeous dandelion and the dew drops ... it just shimmers! Happy Tuesday! Love the little droplets. Very special! I see you're still getting down into the weeds to get the shot...8v) Nice image. Magical little drops of dew.